For most homeowners in the Los Angeles and Orange County area, roofing and rain gutters are one of those “out of site and out of mind” features of a home.  As long as the roof isn’t leaking and there are no visible signs of tiles, ridge caps or shingles damaged from the front of the house, the majority of people rarely take a moment to consider how they can improve their roofing or rain gutter system. However, their are a few fairly simple projects that you can tackle that will bring value to your home, while making your roofing and rain gutter system more functional longterm.